WASHINGTON — Recent months have seen reports that DynCorp International, the American global services provider, is up for sale, some linking those rumors to the appointment of Stephen Feinberg — the CEO of parent company Cerberus — to a Trump administration post. To boot, Feinberg was reportedly seeking a role in Erik Prince’s vision to privatize the American war in Afghanistan. 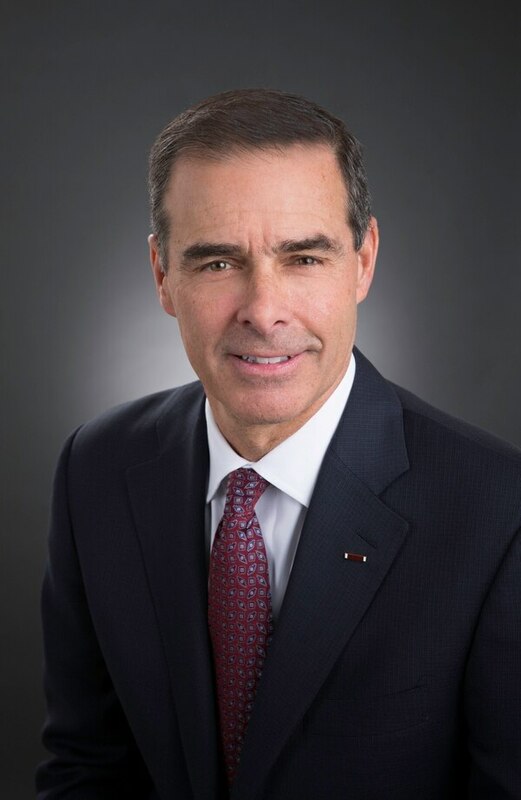 But beyond those juicy headlines, which DynCorp CEO George Krivo addressed head-on, the firm had a story to tell about its rebound in the services market. In recent weeks, Moody’s upgraded DynCorp’s credit rating, and the services provider won a spate of lucrative contracts and contract extensions — including a 12-month task order to support the Army’s Logistics Civil Augmentation Program IV, or LogCap, worth $258 million. And as much as DynCorp may be for sale, Krivo revealed the company is also open to mergers and acquisition opportunities. What’s the impact on DynCorp of the president naming Steven Feinberg to his intelligence advisory board? DynCorp is one of 60 companies that Cerberus owns, and Steve’s not on our board. So really it’s had no impact on the company whatsoever. A lot of us know Steve, and he’s a real patriot, so I’m glad that he’s serving the country. I have great trust and confidence in his judgment. But with respect to the company, there is really no intersection at all. He’s not on our board. He’s not involved in any way with the company. That move, in news reports, has been linked to news that DynCorp is up for sale for as much as $1.3 billion. Can you bring us up to date on any possible sale of the company? Over our history, there’s been rumors of our sale like every year, before Cerberus, back into the Veritas Capital days. Whenever you’re owned by private equity, there is a sense that, inside the market, you’re always for sale. What we’re seeing is industry consolidation, with Engility and SAIC, and a race to scale. We’ll be part of that somehow — whether we’ll be consolidated or a consolidator has yet to be seen. So we’re looking at M&A opportunities for us to grow our scale from our current $2 billion (in annual revenue) to probably $3 or $4 billion. I’m sure others are looking at us to do the same thing. In the next six months to a year, you’ll see a whole bunch of consolidation in what I call second-tier defense logistic service providers. I think DynCorp will be part of that. The other big multibillions will be part of it, then you’ve got a host of companies that are a billion or less. Those are the ones that will be scooped up pretty quickly. You seemed to imply that DynCorp is for sale, but I want to try to pin you down. If you were to look at the fundamentals, it’s been in the fund a long time, so for Cerberus, DynCorp is getting to the end of its lifetime. So this would be a normal time that the hedge fund guys would think about selling. But from a company perspective, it’s kind of a decision above our echelon. What we do is we try to create value. We try to make sure we’re making our numbers, that we’re delighting our customers, that we’re acting in a compliant way. And when it comes time, if it does, it will be to either to sell or buy, because that’s the other option, right? What are the market trends driving consolidation in this subsector? There’s two big streams that I see occurring. The first is this thing called race to scale. That’s happening because you’ve got to have a certain base and revenue in order to be efficient to your costs over a large number of dollars. And if you’re sub-par, there’s so many things you’ve got to do as a company that it just costs more to deliver the same services to the same customer. And, generally speaking, a customer is not going to pay a premium just to have a $700 million company instead of a $2 billion company. So in any cost-sensitive market, scale becomes important. It’s becoming more important in the logistics-service provider market — especially as you get companies like KBR Wyle growing by M&A. We’re now growing significantly. PAE’s probably about the same size as we are. So you’ve got some companies that have scale, and then you have a whole portfolio of companies that don’t. When it comes to going into a price shootout, those smaller companies are at a huge disadvantage. The second thing is the global footprint, and the preponderance of our business isn’t inside the continental U.S., but around the world. And in order to be able to afford to have a real global footprint — not just an office, but able to get visas, import-export licenses, business licenses and all of the things you need, in our case, to operate in 35 countries — you need that scale in order to be able to afford that. Without those basic table stakes, you can’t compete in a lot of these massive multibillion-dollar contracts, and so that’s what’s driving the industry to these larger companies. Beyond the sale news, DynCorp’s made news with contract awards within the last few months. Second quarter 2018 revenue was up 16 percent, and in June, Moody’s upgraded DynCorps debt rating. How did you get there? Is that linked to defense budget trends? It’s easier to be successful when your market has positive wind in its sails. But company strategy makes a difference. We focused on our core and stopped doing things that were outside of our core. We focused on our team, making sure we simplified our business. We’ve got predictability and continuity locked in all of our teammates. And frankly it’s the employees of the company that have created the value along with a good solid, basic strategy. In terms of scaling up, does that provide a clue as to where you guys might go if you were to be involved in an M&A? Are you looking at companies that do something similar? Why we got those great ratings is because we paid down our debt, way way down. So if you look at our leverage ratio compared to many of our peers, it’s much, much lower. That gives us the opportunity to look around for potential mergers and acquisitions for our company. My view is we know what we do. We have a much greater percentage of success looking at things we know a lot about than things we know a little about. So yeah, we would stick to looking at potential bolt-on companies, more bolt-on capabilities that would concentrate us in our core capabilities. The Pentagon has really emphasized the operation and maintenance side of its budget. To what degree does that benefit a company like DynCorp? It greatly benefits us. I can tell you for sure after going through sequestration and the Budget Control Act, where we didn’t have the wind in our sails, it was the complete opposite — where we had inconsistent obligation authority and no continuity. There’s been some spending to get readiness back up to speed, but now we see very consistent obligations already with our customers. The current budget deal is going to expire, and Budget Control Act caps are going to return in 2020. How concerned are you about any future budget deal or lack thereof? It’s a political decision. 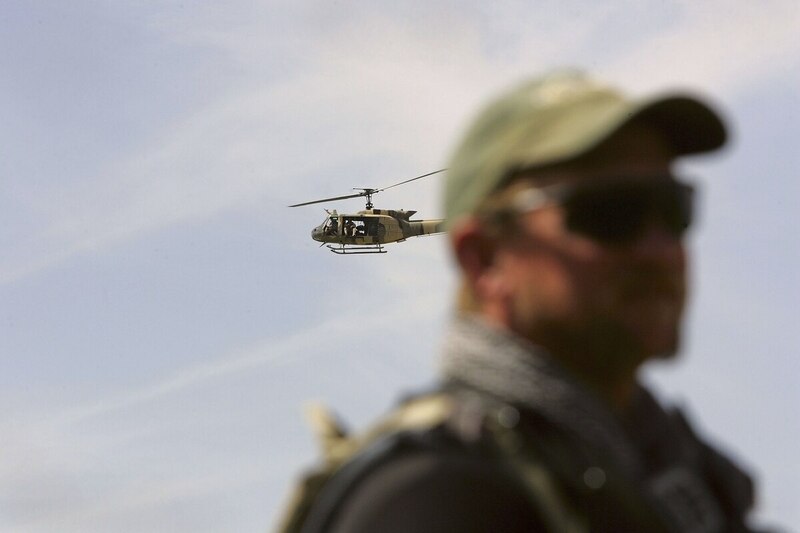 From a DynCorp perspective what we’re doing is we’re building a diverse group of programs, not only U.S. government but also direct commercial sales and foreign governments that allows us to better be able to succeed in challenging times. Right now, though, I don’t see anything changing. I think the BCA and sequestration left a bad taste throughout the entire political spectrum. Especially given the complexity and uncertainty around the world, with what’s happening in Asia, Europe and other places, I’m pretty confident that the country’s priorities will support appropriate spending — not too much, not too little. Seventeen years into the war in Afghanistan and the skill levels among Afghan security forces can be wildly uneven. Whereas you have Afghan commandos who are highly skilled, the Afghan army itself has difficulty holding territory. Is the country safer today? What’s your diagnosis for a fix? What I see are programs that we operate in Afghanistan. I’ve been in the company for nine years, and I can tell you eight or nine years ago we were training Afghan national police and Afghan soldiers, literally to hold their weapons correctly — simple assembly and disassembly, individual basic skills. Today we’re teaching them platoon, company and battalion operations. And they’re engaged in complex operations, oftentimes with NATO and coalition forces, actually going out and doing missions. You can see a huge difference in the capability and what they’re doing on the ground from eight years ago to today. Now that said, of course the enemy is evolving as well. So I still think it’s a very uncertain situation and challenging situation in Afghanistan. However, I’m hopeful. I think that there is progress being made. Has this administration’s stance toward Afghanistan had any impact on DynCorp? We have seen increases in some of our programs in Afghanistan recently, such as LogCap, because there has been an increase in force structure on the ground. And as a result, our support to that force structure increases. When that force structure goes down, of course we will draw down our LogCap — the number of camps, with fewer forces, will also go down. So we’ve seen some moderate increases specifically in Afghanistan — on LogCap and also on some of the other programs that support U.S. and coalition forces there. Now that said, we probably don’t expect that to last too long. But that’s what we’ve seen since President Trump took office. Blackwater founder Erik Prince pitched the White House on plans for a private military force in Afghanistan, with a viceroy to oversee U.S. operations — a position that Mr. Feinberg was reported to have been angling for. Would DynCorp be a part of something like that if the administration were to go that route? As the CEO of DynCorp, DynCorp does not conduct inherently governmental activities. As a retired Army officer, I have a pretty good idea of what those activities are. We do not even do private security any more. This company supports our U.S. government and allied customers. We do not engage in certain types of activities. And that’s a fundamental decision that we’ve embraced at the company in the last few years. We’re not looking to get involved in that, nor do we think as a company that that’s appropriate — nor do our customers. Is that something you have to clear up on a periodic basis? In the last couple of years, since I’ve been elevated to COO and CEO, we’ve made a conscious decision to not even get close to that line. In fact to shut down and not bid anything that even comes close to that. It’s not a business that we’re attracted to, frankly. We like what we do in our core, aviation maintenance, base operations and support, LogCap. We are more than happy inside the forward-operating base in Afghanistan, when our soldiers come off patrol, to provide them support with all of their logistics, their building, their own food, their weapon. All of that. We are more than happy to do that. When it comes to going out on patrol and leaving that FOB, that’s not an option. And we know that. And it’s very clear.